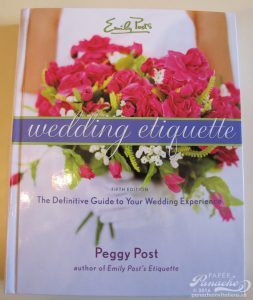 I have to admit that the book has tons of important information for brides and grooms, however I have found that pointing out etiquette do’s and don’ts to a bride is a tough call. I have been designing wedding invitations for over six years and have not obeyed many of Emily’s rules! In staying true to the art and etiquette of the invitation I try to lightly share etiquette rules with clients, but point out that I will design it any way they want in the end. So I am hoping that sharing some of these “don’ts” with you will help me out! Maybe if I share these rules with you more brides will know not to ask me to disobey these rules! 1.) Registry or gift information. Although a wedding invitation demands a gift in return, it is in extremely poor taste to insert a “helpful” list of places where the bride and groom are registered. This information should be shared with parents and attendants who can share this information by word of mouth. 2.) The inclusion of “no gifts”. 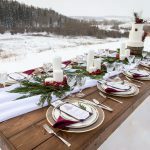 Often a second-time bride or groom or an older couple feels that they have everything they need and prefer that their guests not give them gifts. Regardless, the joy and happiness a wedding represents include the giving of gifts to celebrate that happiness, and the printing of “No Gifts, Please” on the invitation is not acceptable. Please note that “Presentation preferred” or “Money preferred” is also not acceptable – who would have thought!!! 3.) The inclusion of “No Children”. Never print “No Children”, or “Adults Only” on an invitation. 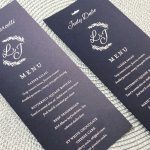 The way an invitation is addressed, whether on the inner or outer envelope, indicates exactly who is – and by omission who is not – invited to the wedding. 4.) Dictating Dress. It is incorrect to put “Black Tie” or “White Tie” on the invitation to the ceremony. 5.) Labels. Do not use labels to address wedding invitation envelopes, even when inviting hundreds of guests. 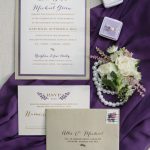 Instead, plan ahead and take the time to hand write (or hire a calligrapher to do so) every envelope so that it is in keeping with the personal tone of the wedding. 6.) Choice of Entree. It is preferable not to put entree choices on the response card or the envelope. 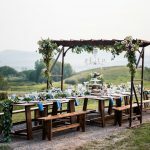 If you are offering menu choices, work out arrangements with the caterer to provide French service-where each waitstaff member carries a tray with both entrees already plated and offers each guest his or her choice. 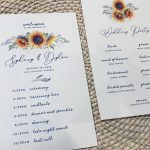 Note: Some reception sites simply do not allow guests to make menu choices on the day of the wedding. If this is the case for you, you may correctly include the entree choices on the response card for attending guests to check their selection. 7.) Alcohol information. It is unnecessary to put “Alcohol-Free” or “Wine and Beer Only” on the invitation. Surely this information will not be the deciding factor as to whether or not guests attend. These are only a few of the “Invitation Don’ts” found in “Emily Post’s Wedding Etiquette” book. This book also has important information regarding wedding stationery including timing for ordering and mailing invitations, invitation wording, and envelope addressing and stuffing!